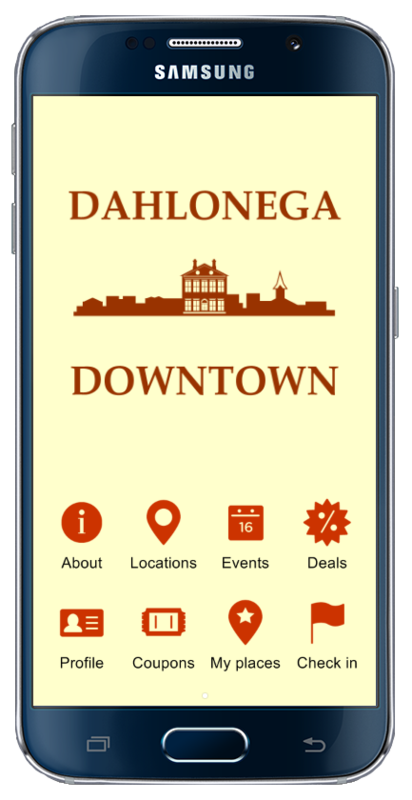 Downtown Dahlonega App: Customers can now explore downtown parking options the way they experience everything else — via mobile! 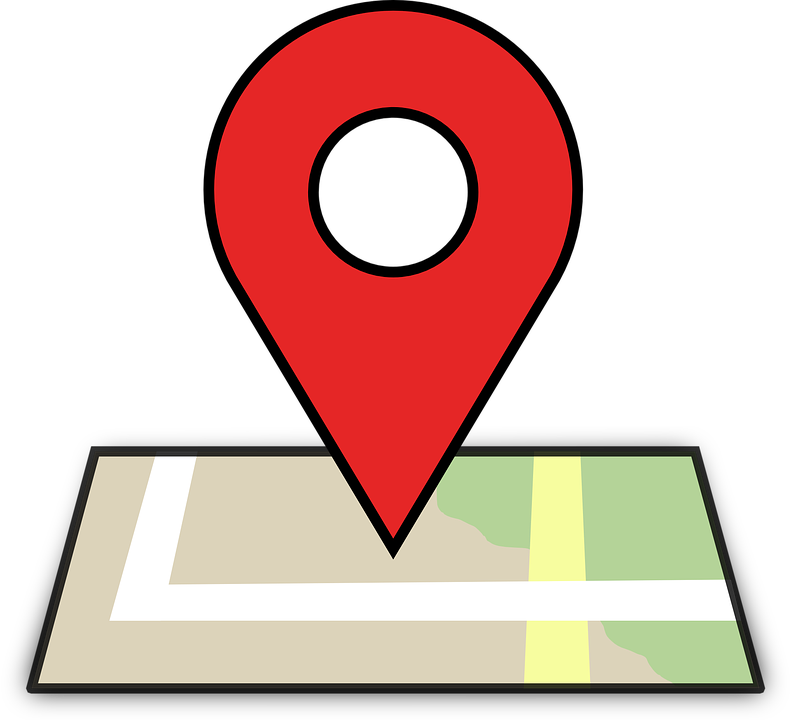 Download this mobile option to help navigate your way around town! Click the icon on the right to download the mobile App. Parking is found under Locations, then drop down menu item Parking. 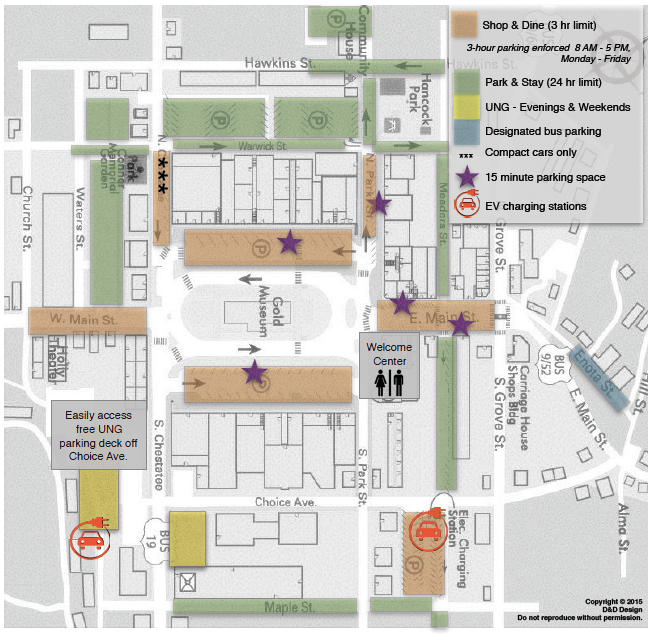 Evening & Weekend: The first parking evening and weekend guests should consider when coming to downtown Dahlonega is the convenient and shady UNG parking deck easily accessible from South Chestatee Street or West Main Street. The deck is available after 5:30 PM M-F, and all day Saturdays and Sundays. Shop & Dine: Short-term shoppers, diners or anyone needing to make a quick pick up from downtown businesses are encouraged to use the conveniently located Shop & Dine spaces (the Shop & Dine spaces are limited to 3-hours, 8 AM - 5 PM, Monday - Friday). Electric Vehicles: The City of Dahlonega is committed to promoting electric vehicle usage and charging stations. This project is a step forward in supporting sustainability, reducing CO2 emissions and demonstrating to electric vehicle owners that they can visit, commute or run errands around Dahlonega without worrying about running out of power away from home. Friendly Reminder to Merchants & Employees: Please park as far away from the Square as you are physically able, particularly from 11 AM – 5 PM each day. Free parking with no time limit is available on North Park Street at the old elementary school site. Each space your vehicle does not occupy becomes available for use by locals and tourists who are in town to spend money! The more who do this and the more often, the better the effect for all! Thanks for not being a Shopper Stopper and parking where it makes the most "CENTS"! University of North Georgia Parking: UNG's Parking and Transportation Services strives to promote and enhance the quality of life and safety on campus through the delivery of parking and transportation services for students & visitors. Follow the links below for more information.